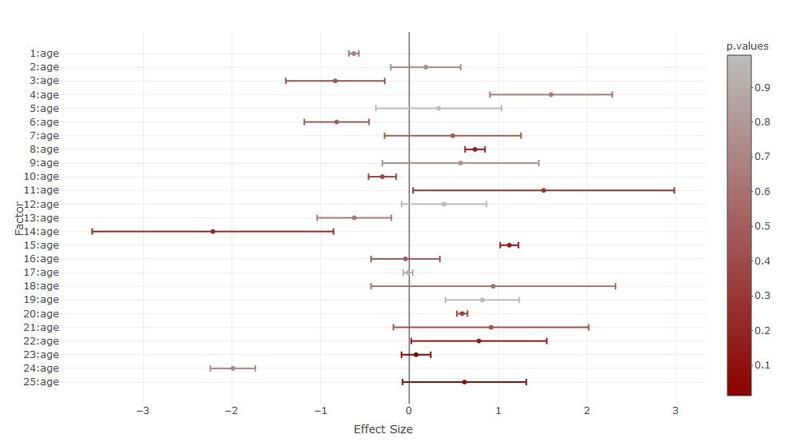 I'm trying to create a forest plot with R plotly where I want to color code the effect sizes (points) and their error bars by their corresponding p-values. 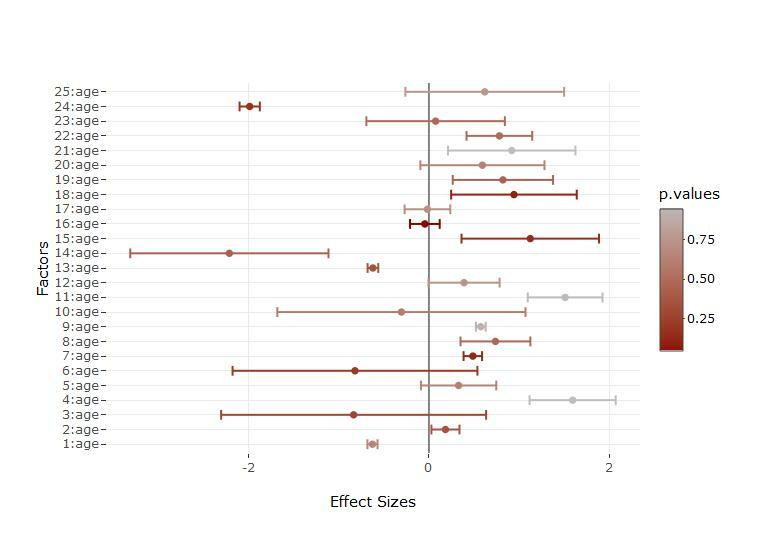 I'd like the error bars to be colored similar to the effect sizes (by the corresponding p-values). Okay it took me a while to warm up my plotly skills. Since your first point was the most difficult, I will go reversely through your points. That was tricky. I had to move your second line (the error bars) in the first. Added a color vector to it. Put it in the plot_ly-function. Used split to allow the correct coloring by group. Added the color for the points in a marker-list. In additon I converted the p.values via the colorRamp to hex-because every simpler solution didn't work for me. Just odd that this first point was so difficult to solve and results in such a big code bracket, because normally plotly supports that pipe logic quite well and you get a very readable code with all the add-functions. I expected e.g., some add_errorbar-function, but apparently you have to add the errorbars in the plot_ly-function and the color-vector for the errors only works if you use the split-function. If someone would like to comment or post an alternative answer with more readable code on this, that would be interesting. Not the answer you're looking for? 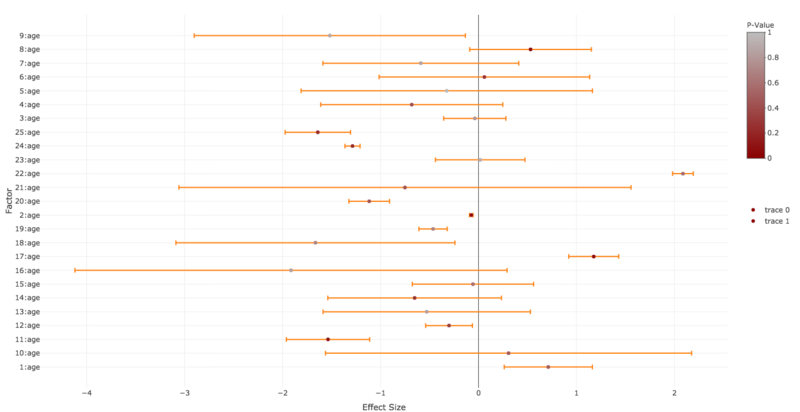 Browse other questions tagged r plotly forestplot or ask your own question. How to simultaneously apply color/shape/size in a scatter plot using plotly?